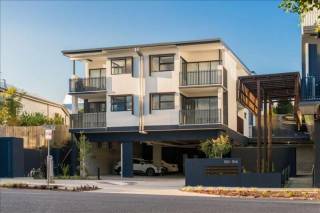 With a large entertaining balcony, and celebrating the corner aspect of a modern development, this deluxe 3BR Bulimba apartment offers unparalleled comfort and a perfect base from which to enjoy Brisbane. 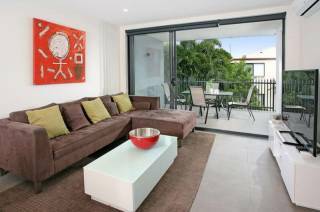 This 3 Bedroom Bulimba apartment is in a brand new luxury development just off the main shopping street of Bulimba. Stroll out of the building and you can find anything you need from restaurants and bars to supermarkets and shops. This brand new second floor apartment is set at the rear of the block, offering a quiet, secluded haven in an enviable location. With cafes literally at your doorstep, as well as retail stores, supermarkets, bars and quality dining venues close by. Located just down the road from Bulimba's Oxford St shopping district and within walking distance to the Bulimba ferry terminal, this brand new 3BR apartment offers the perfect base from which to explore Brisbane. 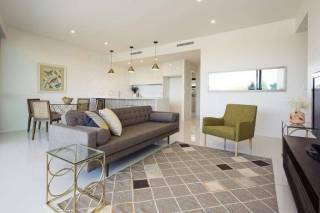 The 3 Bedroom apartment is brand new and offers modern living at its best. There is a large open plan kitchen, dining and living area upon entry, leading onto a large balcony for outdoor entertaining. 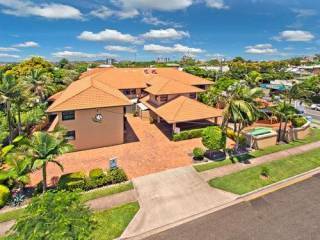 Spacious Executive Villa on Cliff Top in Trendy Vibrant BULIMBA - Inner City Brisbane . Cruise Ship Views and Cafes, Shops & entertainment galore! Extremely popular destination for locals and tourists. 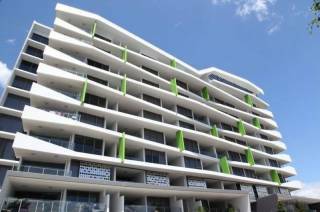 Pegasus Motor Inn and Serviced Apartments offers Brisbane’s premier Airport accommodation with close proximity to the cruise terminal, race courses and great shopping. 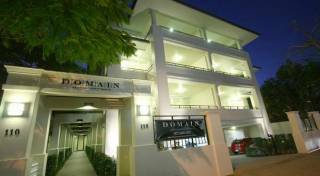 4 star motel offering accommodation of exceptional standard & affordability, with stylishly designed rooms. We are located 7km between the Airport and Brisbane City and 5 minutes walk to Portside Wharf for dining and cruise ship terminal. A self-sufficient and stylish serviced apartment environment where guests can feel at home. Located in the prestigious suburb of Ascot, Domain is nestled amongst the stunning Jacaranda trees found along Racecourse Road. Airport International Motel offers 45 fully serviced suites & apartments with a range of accommodation options to satisfy the needs of the most discerning traveller. Exceptional facilities underpin this residential paradise, including leisure amenities of a cantilevered pool and sundeck, fully equipped gym, teppanyaki, bar and dining and residents’ lounge with fireplace. Exceptional facilities underpin this resident­ial paradise, including leisure amenities of a cantilevered pool and sundeck, fully equipped gym, teppanyaki, bar and dining and residents’ lounge with fireplace. Large Garden Villa on Vibrant Hawthorne Park - Cafes, Markets, Shops & Entertainment at your doorstep! 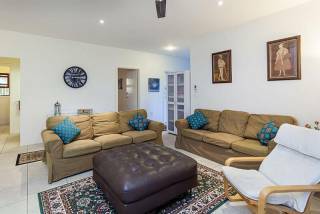 It has 2 spacious bedrooms, a large open plan Kitchen & Dining & Living Room as well as a lounge room with a very comfortable double sofa bed. 3 Bedroom, 2 Bathroom House on Vibrant Hawthorne Park - Cafes, Markets, Shops & Entertainment at your doorstep! 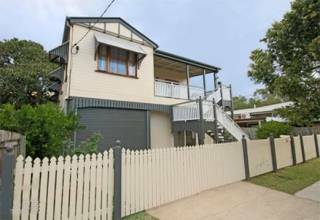 A beautifully presented Upper Level 3 Bedroom & 2 Bathroom Fully Air-Conditioned spacious and comfortable Queenslander home. 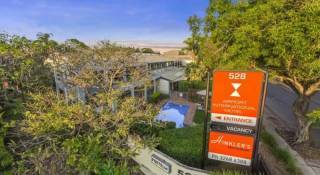 Airway Motel is the closest 3.5 star motel to the Brisbane Airport. Lots of great food options in 10 minute walk. Free WIFi. 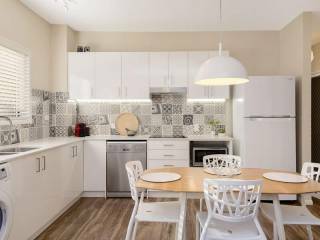 Central Brunswick Apartment Hotel is the ideal choice when staying in Brisbane offering great value Studio Hotel rooms and One bedroom apartment style accommodation set in the perfect Fortitude Valley location. Offering Free Wifi and Foxtel. 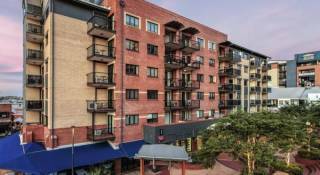 Code Apartments is a boutique apartment hotel offering 36 guest rooms including of studio units, 1 and 2 bedroom apartments. 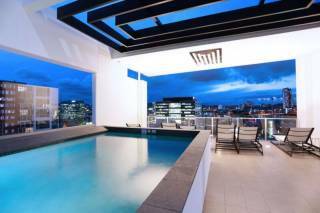 The apartments boast panoramic views over Brisbane. Displaying 1-20 of 85 results.